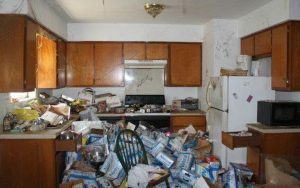 A three-bedroom home located in Sanger, Texas, is referred to as ‘beer can hoarding nightmare’, is listed for the reasonably low price of $89,800. From the exterior the home just looks like a fixer upper, with an overgrown lawn and the desperate need of a paint job. However, when looking inside the home there was a completely different story to tell, one that included a love for beer and recycling. The Texas home was completely covered with empty cans of Natural Light beer. To top it off, there were monstrous cobwebs visible in each photo of the interior of the home. 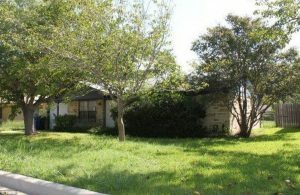 With the median list price in Sanger, Texas being $232,000, the home is definitely a steal but would require a buyer who has a knack for flipping homes and the patience for a serious recycling haul. This is a perfect job for a junk removal team. The clean -up crew has all the equipment and tools to remove the cans. Not to mention they have the men power to get through all of the rooms. As for the cans, the junk removal team can dispose it by taking it to a recycling center. This can be traded for cash instead of clutter. This house made so much hype that real estate site realtor.com had an interesting home to top their list of most-clicked homes this week.